Natalie Portman’s baby basket — with Jen Chapman, Erin KrinklzBaby, Susie Kreitman Taylor,Jennifer Ormond, Lisa Gal Bianchi, Donna Cravotta and Julia Lambie. 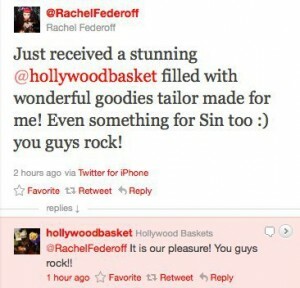 Rachel Federoff from Millionaire Matchmaker tweeted us today 🙂 Check it out!! What a great opportunity to receive press on It’s Not About Me! Thank you very much! 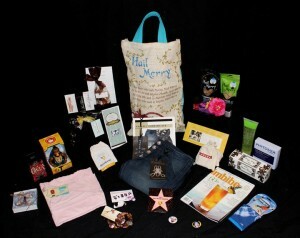 MTV Movie Awards Nominees Gift Bag! 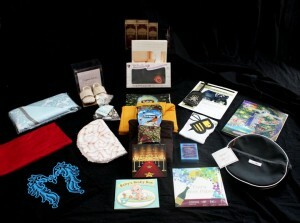 Thank you to all of the sponsors who made this awesome gift bag possible! — with AnnaMaria Linga, Carlos Ugalde,Lisa Cocuzza, DeAnna McKillip, Judith Galindo and Earline Reeves.